The EU is proposing new regulations to ensure all vehicle tyres are supplied with information about their fuel efficiency, safety and noise standards. The EU proposals, which seek to update existing tyre labelling regulations introduced in 2009, are designed to create ‘cleaner, safer and quieter vehicles’. Backed by the RAC, the proposals will be voted on by the European Parliament later this year. An explanation by the European Commission, published by the Express, said: “Improving the labelling of tyres will give consumers more information on fuel efficiency, safety and noise, allowing them to obtain accurate, relevant and comparable information on those aspects when purchasing tyres. “This will help improve the effectiveness of the tyre labelling scheme so as to ensure cleaner, safer and quieter vehicles and maximise the scheme’s contribution to the decarbonisation of the transport sector. The RAC says strengthening the tyre labelling regulations is ‘good news for UK motorists and road safety’. Simon Williams, RAC spokesman, said: “Good tyres are vital for keeping vehicles in contact with the road surface. 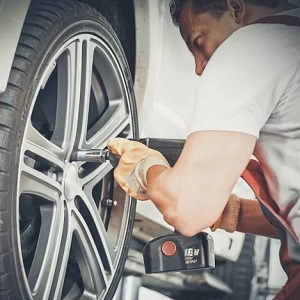 “Currently, there is no requirement for tyre fitters to show labels at the point of purchase so motorists are oblivious to the pros and cons of the tyres they are buying. “As a result few motorists are shown the labels when buying tyres, leaving them completely in the dark about the three ratings of fuel efficiency, wet grip and passing noise. Updating the regulations should fix this by making it mandatory for tyre labels to be shown to motorists in all situations.